Babyblooms�is dedicated to people who want to send their love, congratulations and best wishes to new parents with a perfect baby gift. 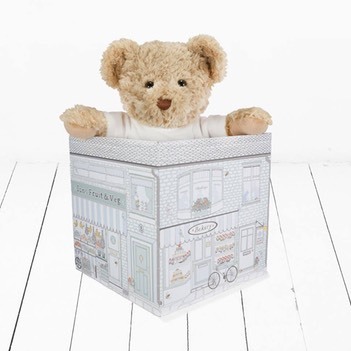 Whether you are a friend, a colleague or a family member, you can find original, beautiful and practical gift ideas at BabyBlooms. You can send your gift to a new mum anywhere in the world with your personal message which we will print on a gift card for you. We continually strive to make the moment the mum receives your gift as memorable as possible. For this reason the presentation of your gift is of prime importance to us. Our packaging and wrapping is always stylish and thoughtfully finished. Many people are involved when a new baby arrives. To make sure they are not forgotten we have created ranges for products that cater for all situations. Baby gift baskets, for example, can include gifts and pampering products for the mum and newborn baby to enjoy together. We have a baby present section, with great ideas for presents for the infant, such as comforter blankets. Not forgetting new mums – there are many great ways to spoil them! For slightly older babies, we have a fantastic range of baby soft toys, selected especially to appeal to small babies. And for older siblings too, we have presents to make them feel important. BabyBlooms started in 2005 by pioneering the concept of baby clothes bouquets in the UK as an alternative to sending traditional fresh flowers. A bouquet of baby flowers made from hand-rolled baby clothes is not only beautiful it is also very practical and is a lasting keepsake. This simple idea has won BabyBlooms many loyal friends all around the world. The baby clothes themselves all carry the distinctive "double B" logo which is embroidered into every item of clothing and has become well known in baby circles everywhere. The baby clothes which make up the baby bouquets are designed by BabyBlooms and made to our specifications. They are soft, practical, hard-wearing and washable. We carry these design values into the selection of all of our products. As far as possible we use organically grown cotton in our products or select products which are produced using organic materials. Our future will be more and more organic as new materials, such as Bamboo, become available in more products. 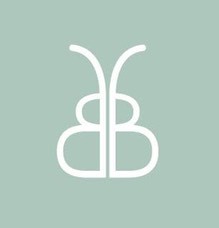 BabyBlooms strives to be ethical and friendly to the environment in everything it does.